Alisha Davis helps her four-year-old son, Mike Davis as he skims through boxes of bargain comic books at Hurley's Heroes on Saturday. 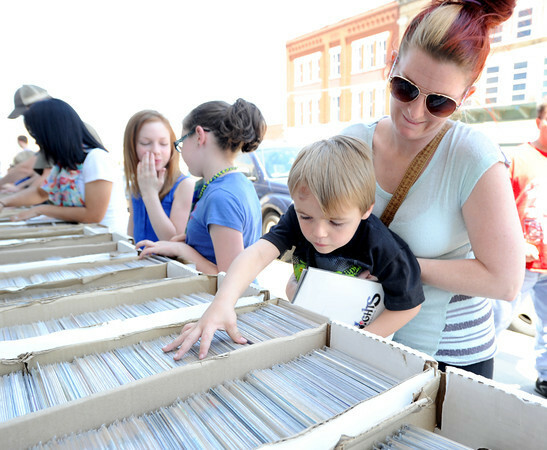 Saturday was National Free Comic Book Day, an event scheduled for the first Saturday in May. HUrley's featured professional artists demonstrating their talents, sales on many titles and a table of free titles inside the store.